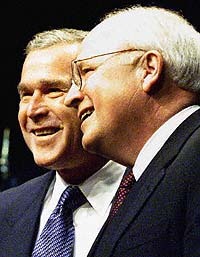 Excerpted to highlight Cheney's role from an article Saturday in the New York Times. The Times' reporters remark: "Ms. Miller's grand jury appearance increased anxiety in the White House and throughout Republican circles about how the investigation might end." Originally published on Saturday October 1, 2005.